It's inspired by Tale of Tales, The Path. 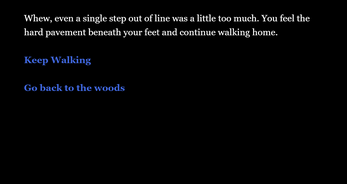 I wanted try to make a branching story with three possible endings. Good, bad, and medium. 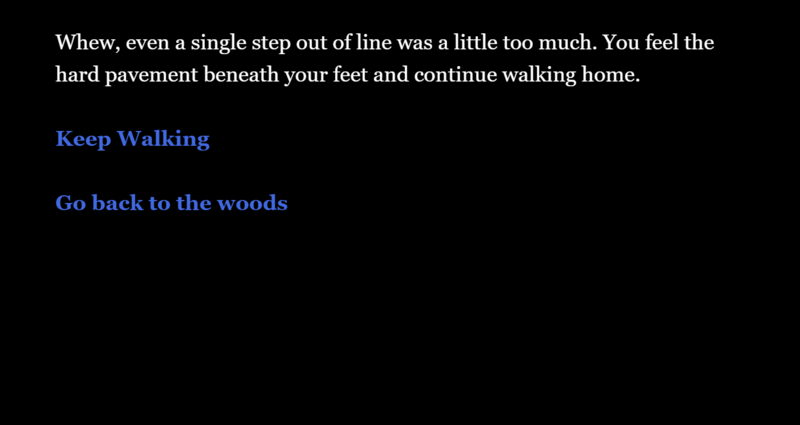 A couple randomly generated events and to play a bit with the 'live' code to make very simple effects. Also, I tried a variable to remember the player's name.